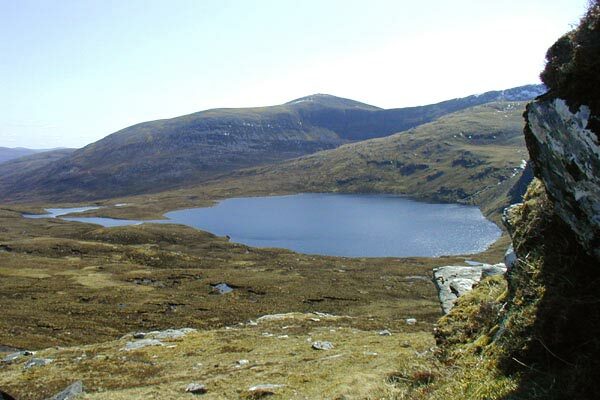 Beinn Liath Mhor Fannaich is one of the group known as the Fannaichs, which lie to the N of Loch Fannich. It lies to the NE of the group and is connected to Sgurr Mor by its rocky SW ridge. 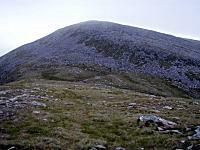 Beinn Liath Mhor Fannaich has three other ridges all parallel running NE, only the most northerly has crags. Slopes are generally of moderate incline. 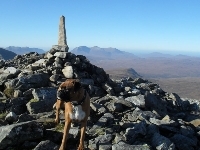 Normal ascent routes are from Sgurr Mor and from the A 835 road to the N via the corrie between the more northerly NE ridges. 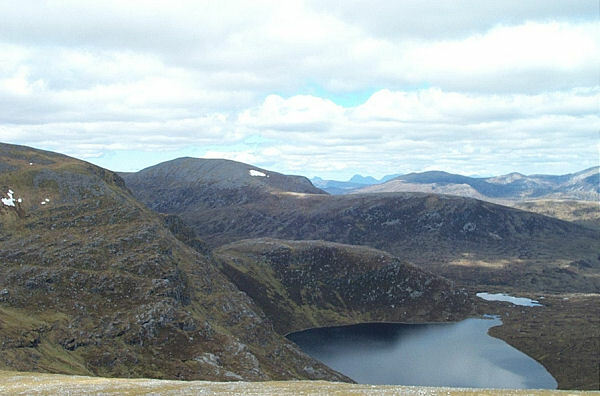 Beinn Liath Mhor Fannaich (back) and Loch Gorm from the lower slopes of An Coileachan. Beinn Liath Mhor Fannaich from the summit of Sgurr Mor. 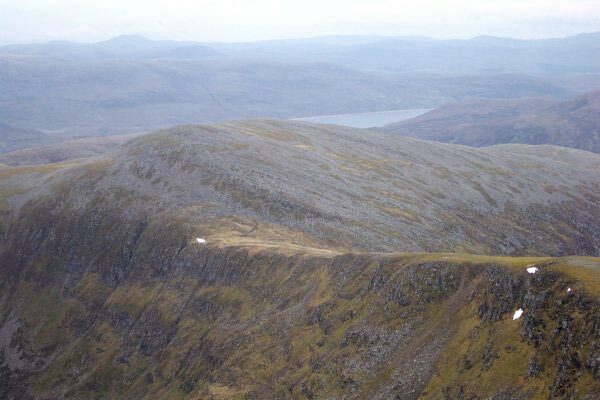 Beinn Liath Mhor Fannaich behind Loch A'Mhadaidh from the base of Meall A'Chrasgaidh. 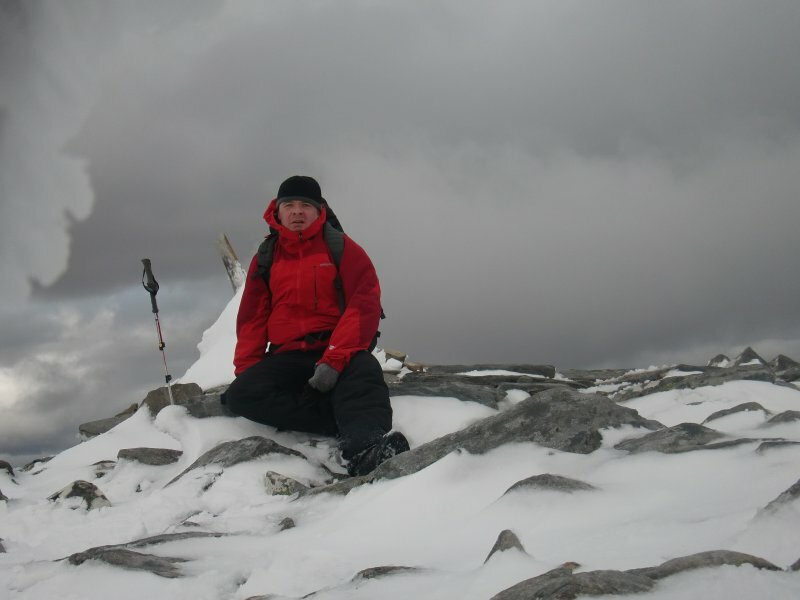 The summary information of one or more ascent routes that include Beinn Liath Mhor Fannaich. 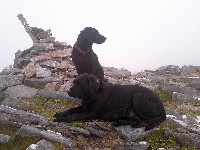 Jorja (at the back) and her pal Maura taking a wee breather at the summit of Beinn Liath Mhor Fannaich. August 2012. 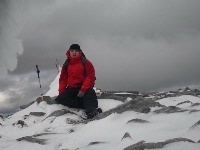 Oscar on summit 4th summit,(10,10,10). Post a few words about Beinn Liath Mhor Fannaich or read what others have had to say. I cycled in from Grudie(they don't let cars up the private road according to the gillie. 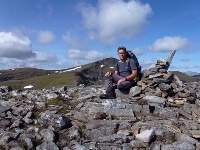 Walked up from Fannich Lodge along the ridge of Creag a' Choire Riabhaich then onto the main Munro ridge, Up to Sgurr Mor, across bealach to Ben Liath Mhor Fannaich, return to bealach South to Meal Gorm and then onto An Coileachan descending South West back to cycle and return to Grudie. Fantastic weather it took about 8.5hrs and was 28 miles long in total. Great day out!